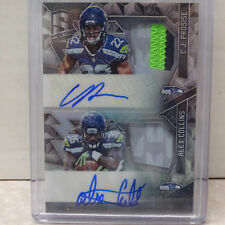 2016 Panini Contenders Alex Collins RC On-Card Auto Seahawks !!! You are bidding on a 2016 16 Panini Classic Alex Collins Rc Auto 4/5 Card. Please refer to the picture for the condition of the card. This card lot are extremely hot! Get this card lot while you still can. If you have any questions please feel free to ask. Please feel free to check out my other auction for sale. Thanks and best of luck! 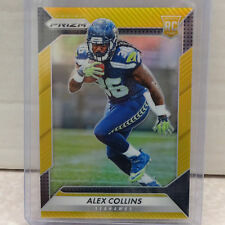 2016 Panini Luminance Alex Collins RC Spotlight Auto #60/125 Seahawks !! !